A new report released by NRMA Motoring & Services has shown Australia’s reliance on imported transport fuel has risen from 60 per cent in 2000 to 91 per cent in 2013, putting immense pressure on Australia’s liquid fuel security reserves. if tankers stopped entering Australian ports tomorrow, the nation would lose its capacity to transport food and medicine supplies very quickly. seven days of chilled and frozen goods in supermarkets. NRMA director Graham Blight said the report also contained possible solutions to those problems. “It’s not too late for Australia to take steps that would help secure Australia’s transport energy future,” Mr Blight said. “We have held roundtables with industry stakeholders including unions, fuel companies and transport organisations who have agreed that we must urge the Australian Government to take action. “The Government’s National Energy Security Assessment will be reviewed again his year and it’s the ideal time for new policies to be implemented that would ensure Australia’s sustainability in the unlikely event of a disruption to our liquid fuel supply. “We do not want to scare people with our report, but facts are facts. Australia’s dependency on imported fuel and oil for transport has grown by more than 30 per cent from 60 per cent in 2000 to 91 per cent in 2013 and we are approaching 100 per cent dependency on imported transport fuels. The report also highlights that Australia does not need to wait for the Government’s assessment to start taking action. 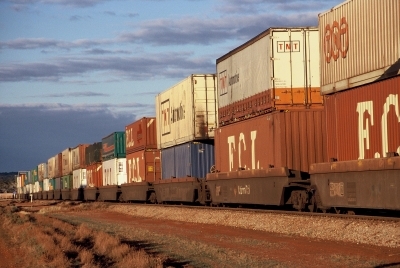 Mr Blight said we could get thousands of trucks off the road and ease the wear and tear on our regional road network by getting more freight on rail, also improving road safety. “We have the capacity in this country to produce alternative fuels including biofuels and gas,” Mr Blight said. “The technology being developed for electric vehicles has advanced considerably in the past five years with the emergence of longer battery life, more charging stations and fleet trials by businesses and governments. “There are answers right in front of us to help secure our transport energy future that complement larger scale solutions, such as stopping the closure of refineries and increasing our stock of oil within our borders. Australia’s dependency on imported fuels has increased from 60% to 91% from 2000-2013. 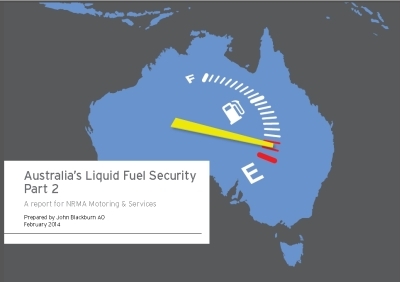 The NRMA’s Australia’s Liquid Fuel Security: Part 2 report was prepared by Air Vice-Marshal John Blackburn AO (Ret’d) and can be downloaded here.